We are privileged to offer this luxurious line of RFSU condoms imported from Sweden. RFSU is among the top brands of condoms sold in Europe. They are made of the highest quality latex available, silicone lubricated and entirely vegan. Their natural latex is durable, yet maintains a soft and silky feel for the wearer and his partner. 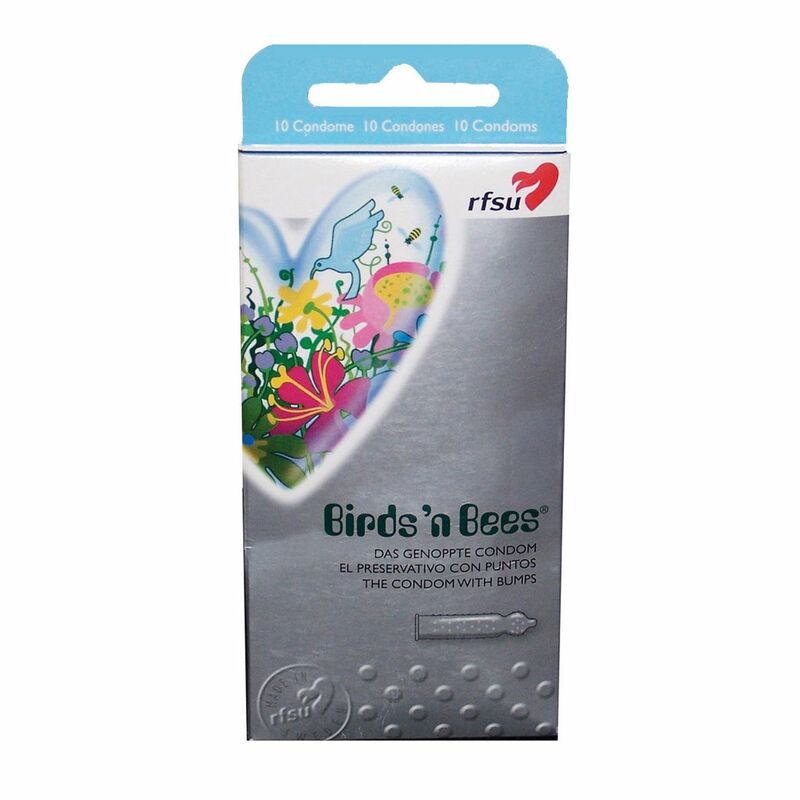 With four intuitive designs, there is an RFSU condom for every customer. The Birds 'n Bees textured condom (185mm x 52mm) features ribs and bumps for extra exhilarating pleasure for both partners. Each package contains ten individually wrapped condoms. Each 10-pack is slimmer than typical American brands.